The game that I Co-Designed and Co-Produced is on the iTunes store! 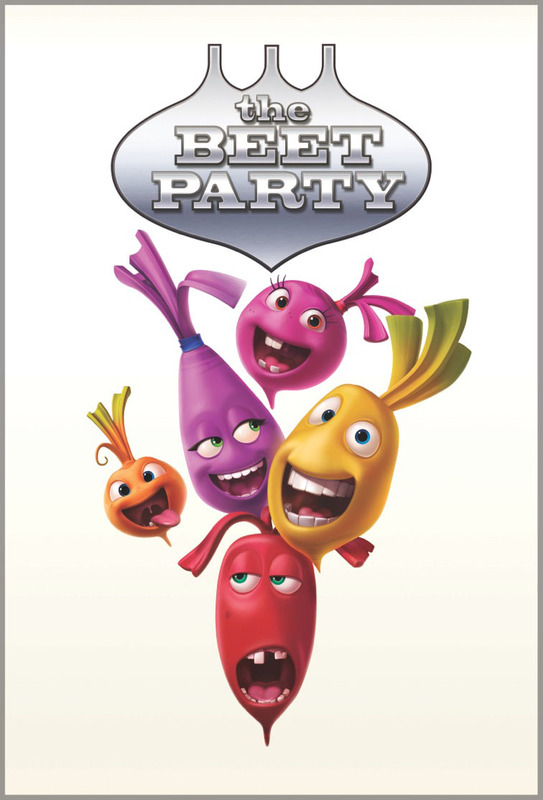 Beet Medley is an eclectic creative playground for children of ages 4 to 6 that features a collection of mini games and creative exercises that foster self-expression and inspire a love of music and rhythm. These mini-games add to the experience of the Freestyle game, a music-creation tool, which expands its capabilities as the players achieve goals and overcome challenges presented to them. Kids playing this game can create their own music to share with others. This game is for the iPad and can be found here, and by searching the iTunes store! One of my major assignments going through the Game Design post-graduate program at George Brown College was to create an educational game. I pitched three different concepts: a pro-feminism game called Don’t Be A Scumbag, a physics-based game like Angry Birds but using numbers instead of finger-swiping to teach the math behind they physics, and an economics game that teaches young children fiscal responsibility. After talking it over with my fellow students, we all felt like the third option with the most viable for the time frame we had to finish them. 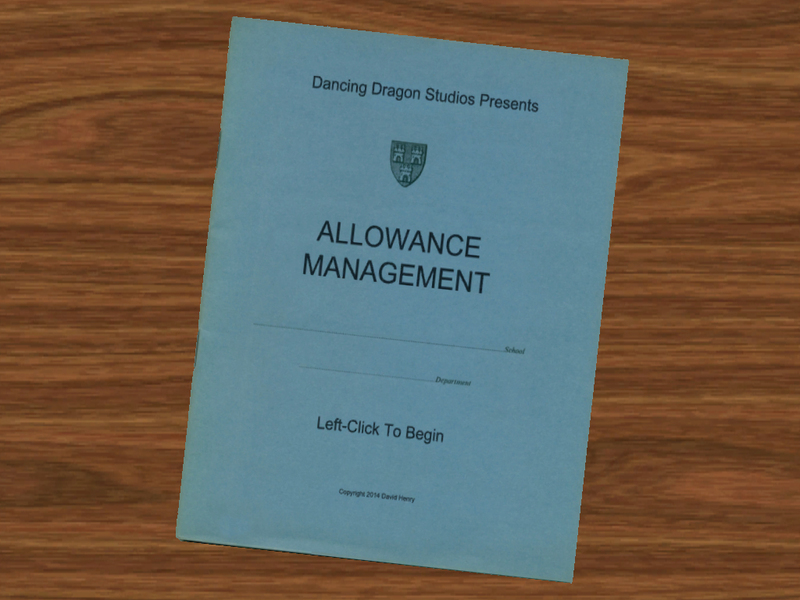 Allowance Management gives the player $20 per week as an allowance, but must purchase food and school supplies, among many other things available, for themselves for the week. This, players must balance fun with grades and hunger. At the end of a game, which lasts 120 days In-Game, players receive a letter-grade based on their Happy, Hunger, and Grades values which players must keep as high as possible throughout a single play-through. To Play: Download the zip file below, and unzip wherever you like. Make sure both the .exe and data folders are in the same location. Keep the default resolution at 1024 x768 and press play. This game was made during the 2012 Toronto Game Jam. I partnered up with a flash programmer for this one, and focused on art and design. A lot of paper prototypes were made for the creation of the main levels. It was down to the wire on this one, but we pulled it off with 30 seconds to spare (I’m not kidding on that, either). Stepping Tiles is a single-player puzzle game. It is similar to a sliding tile puzzle, but instead of a piece of an image, each tile has paths on it. A small man walks along these paths, and the player must slide tiles to complete the paths and help the man gather fruit. Gathering all of the fruit wins the level. There are eight levels total, with each level gradually becoming more harder, and adding new types of paths to the game. There’s also a Random Level which completely randomizes the tiles which is horribly unbalanced but fun to attempt! To play: Install Adobe Flash Player, and double-click the file. If that does not work, open the file in Internet Explorer. This was a Flash game I made during the Toronto Global Game Jam in 2012. I came in intending to be an art floater, but the Jam was planned so close to the date that they didn’t have time to organize a way for floaters to really be facilitated, so I was on my own. 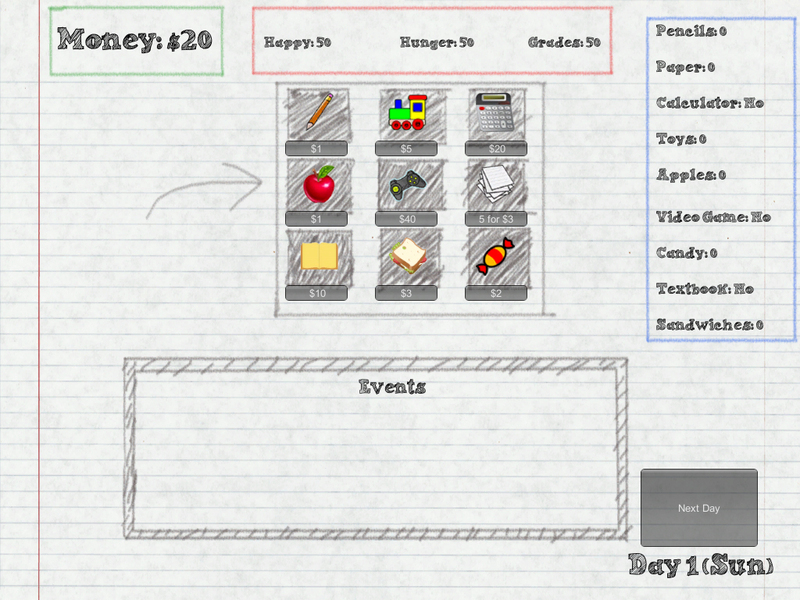 I was recommended StencylWorks by one of the organizers, a Flash game maker that makes coding visual-based. By the end of the weekend, and after going through several tutorials, I managed to complete a simple platformer game before anyone even had a functional game. Snake Run is a 2d platformer game in which you must navigate jumping puzzles in order to outrun the giant snake running behind you. There are five levels, each level being more difficult than the last.